What Do I Do if I'm Being Harassed, Bullied, or Stalked Online? - Ask Leo! Online harassment is common problem, and exceptionally prevalent among children. I'll review some of the issues and steps to be taken. Normally, this is where I’d quote the original question. 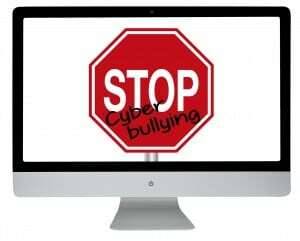 Call it what you will, cyber-bullying, or online harassment, is a frighteningly common occurrence. Those most at risk appear to be children and individuals who’ve been in abusive domestic relationships. I’ll tackle each one of those and a couple more. It’s a large grey area. Unless things are very obviously illegal, like sexual predation, you may not be able to assume what is or is not a violation of your local laws. You’ll need to ask a local authority. This is perhaps the most common harassment-related question I get. People who are being harassed or threatened anonymously want to find out who’s doing it. It’s nowhere near that simple. Working on your own, your best bet is to look for all the clues relating to the situation. Sure, perhaps an IP address matches an IP address in an email you got from someone you know. That’s no guarantee it’s the same person, but it’s a clue; and so are things like who might have a problem with you in real the world, who’s been causing you grief at work or in school, or who you’ve just broken up with. This brings us to another point: police may not always be able to help. Detective Wilson’s case likely involved a crime against a child, as that’s her specialty. That’s a priority, and certainly justifies the time and effort to locate the criminal and prosecute the crime. The abilities and the resources available to your local law enforcement dictate what’s possible, and what’s reasonable to expect, when it comes to tracking down your offender. If you’re receiving harassing email on a particular email address, close that account and get a new one. If you’re getting harassing chat messages, close the account and begin a new one. But the fact is, also like the real world, unless some law has been broken, it’s not illegal to be an annoying pain in the … neck. Consider this fact: How do I hack into someone’s account? is one of my most visited Ask Leo! articles. My theory is that it’s mostly children attempting to figure out how to get revenge on someone who’s somehow bullied or harassed them, online or off. Many of the comments on that article, including most of the comments you don’t see because they are themselves abusive and have been removed, would seem to bear this out. At best, you’ll only waste time. More likely, you’ll antagonize your target into taking harsher actions themselves. In the worst case, you might find yourself in violation of the law, and as a result may face harsher penalties than the person harassing you. Don’t do it. Don’t even try. It’s not worth it. Involve the authorities — law enforcement, school officials, ISPs — if you can, and let them do their jobs. If they can’t help, then it’s by far safest to simply let it go. Be the parent. This is by far the toughest, but it means understanding what’s appropriate for your children, and understanding — perhaps even monitoring — what they’re doing online. It means setting rules with consequences and sticking to them, and taking care to make sure your children understand what it means to be safe on the internet. Be realistic. Children are more likely to be affected by what I’d call “peer-to-peer bullying” than they are to be approached by an adult for illicit purposes. That does not mean that sexual predation does not happen; it clearly does. But what’s much more likely is that your child will be bullied by another child. Don’t ignore the latter because the former is so much more heinous and gets more press. Choose strong passwords. Yes, strong passwords are hard to remember, but that’s what makes them strong. The easier they are to remember, the easier they are to guess. Most individual account theft is simply someone guessing your password with no special technology or techniques necessary. Don’t share your password with anyone. The one exception is that children should be required to share their passwords with their responsible parent(s). The scenario I see repeated over and over, with both children and adults, is this: someone shares an account password with a trusted friend, and sometime later the friendship ends. It’s not infrequent that the former friend does serious damage before the account misuse is detected. Don’t publish personal information publicly. Google yourself: you may be amazed at what you find. Don’t publish information publicly in newsgroups, public forums, social networking sites, and other places anyone can see. Even the smallest bit of personal information here and there can be used by a savvy stalker. Assume your worst enemy is trying to find you, and every little piece of information you leave online is helping them. Don’t assume you know someone you’ve never actually met. On the internet, it’s trivially easy to appear to be something or someone you’re not. Only once you’ve actually met them, or perhaps when someone else you know (i.e. someone you’ve met) has met them face to face, can you assume you know who you’re talking to. Learn the technology. You don’t have to know how a car’s engine works to drive safely, but you do have to know how to drive and the rules of the road. The same is true for the internet. Take the time to learn about your computer, the internet, and the sites and services that you use most often. It’s simple: the better educated you are about these things, the safer you’ll know to be. I attended a presentation on internet safety for children, which is where I met Det. Wilson. The presentation covered some of what I’ve mentioned here, and a lot more. If you have the opportunity to attend something similar in your area, I would strongly recommend it as a starting point. Remember, the rules and cautions apply to everyone, not just children. Adults can learn a lot about the potential risks and the often simple steps to remain safe, even by attending a presentation aimed at keeping kids safe. If nothing else, it’s a good place to ask questions, and you’ll get references to the local agencies and support organizations that can help you learn more or deal with any immediate issues. The internet is a wonderful, wonderful place. I truly believe it is. It’s opened doors and made so much information and opportunity available to individuals planet-wide that I can’t imagine a world without it. Then pass what you’ve learned on to others. How Do I Find the IP Address of the Person Who Created a Gmail Account in My Name? - It's not going to be easy. Only law enforcement has the ability to get full IP address information. The curious thing is, how do you have access to the email? « Previous post: How Do I Find the DNS Server Being Used By My PC? what you need to do is go to the cops because it could get way out of hand and someone could get hurt!!!! How can I find out who this belongs to and get the police involved. Right now they don’t care because I’m not being physically attacked. But this person hacks into all sorts of accounts of mine and I feel frightened. Unfortunately it doesn’t work like that. In fact it’s the exact opposite. You get the authorities involved, and they find out who it is. You cannot. if your being harassed online by AOl members your out of luck.AOL does nothing. they are covered by the freedom of speech aspect. Im being stalker by internet for this girl i dont even know and we dont even live in the same country. She has this really ofensive blog to me and a lot of more people and i would like make it stop cause start to affect me friends and family who already have seen this blog. I would love have any kind of help since i don’t live in USA im from south america. Don’t publish personal information publicly – Google yourself & you’ll be amazed at what you might find. Don’t publish information publicly in newsgroups, public forums, social networking sites & other places that somebody can see. Even the smallest tiny bit of personal information here & there can be used by a savvy stalker. Assume your worst enemy is looking for you, & every tiny piece of information you leave on line helps them. Don’t assume you know somebody you have never actually met – there is nothing that says somebody is who they say they are. Only five times you have actually met them, or perhaps when somebody else you know (i.e. somebody you have met) has in fact actually met them nose to nose are you able to start to assume you know who you are speaking to. On the net it is trivially simple to appear to be something or somebody you are not. what i like to know is, im a person as well that was being bullied on the workplace.till this day,im still being harassed.im being cyber bullied as well.my question is im in college now to be a registered nurse do you think this can stop me from getting a decent job you know defamation of character? I am friends with a family where someone outside the family created a Facebook site using their 15 year old daughter’s name and info, and started harrassing all her friends and making her look like a terrible girl. The school, police and facebook would not do anything about it. All her parents wanted was for them to shut it down. But since she didn’t created it, they wouldn’t shut it down for her. It is sad when the people doing things like this have more rights than the people that get hurt. They ended up moving to another school district because of al the problems that caused. Since 99 percent of people don’t abuse these networks, and they were written for those 90%, it is very hard to weed out those that take advantage of this. IP addresses 72.67.x.x are controlled by Verizon. An email sent to abuse@verizon.net stating what happened and when ought to bring a response. The only thing I can suggest is to contact the police. 1. Print out and save all records of chats, IMs and emails from the perpetrator. 2. Email or IM the perpetrator once and only once to cease and desist contacting you. It is very important that you do not engage them beyond asking them to stop. 3. Block their emails, chat or IM requests. Procedures will vary from one system to another. 4. Report them to the venue they are using to reach you. 5. Remove all personal info from your online accounts. 6. If all else fails, close your accounts and open new ones elsewhere. 7. Report them to your local police with evidence you have gathered. 8. Get on with your life and stay safe online. HELP!! !, My stalker won’t quit, i’ve gone to the police ( i even rang the usa police in his state), i’ve done EVERYTHING, i’ve reported him to my email services they are powerless as he’s using a different company and the can’t stop his emails coming through i’ve blocked him, i can’t change my email address i’m stuck using it, i’ve tried the whole changing it and everything it didn’t work, so i’m having to put up with the bombarding of unwanted e mails, He’s now e mails me bi-monthly to up to two months two weeks then he waits for another near three months to strike. I’m ignoring him, he’s in the usa i’m in NZ, he’s been stalking me now for the past three years three months i’ve had enough. My email company told me to track down my stalkers phone company and report him as he uses verizon to stalk me, he’s completely insane he HSOULD be put into solitary confinement i even told him he needs help for his sickness he’s in denial which makes everything more hellish i want this to stop once and for all i’ve bent over backwards and i’ve saved so much evidance the law are turning a blind eye to it, i’m sitting on a gold mine and no takers. I can’t take another day of this hell i’m fed up with the daily fear for my life and families well being. He doesn’t take rejection at all well, i told him i find him to be vile and to leave me alone three years ,three months ago nope he latched onto me and has made my already hellish life worse. PLEASE, PLEASE, PLEASE I NEED HELP IN PUTTING A FINAL END TO THIS INSANE MADMAN BEFORE HE STRIKES AGAIN. Thank you in advance for all your help it’s very much appreciated. There’s nothing more I can suggest other than what’s in the article you just commented on. You may or may not be able to recover your old account, but you should harden the security on all of your existing accounts Facebook, email etc. Have them go to your old page and click on the ellipsis (…) toward the upper right of the Timeline page, then check the “Report this Account” button. On the next screen select “This timeline is pretending to be me or someone I know” and follow the rest of the instructions. You’d have to contact the website owners and possibly an attorney. My situation is a woman that my ex dated for 3weeks is harassing me. She has impersonated me to make it look like I was harassing her. She has created 2 different profiles in order to send me messages. Repeating verbatim things my ex and I were saying on fb messenger. We found that he was being hacked by an android 4 but couldn’t prove the owner. We don’t know how. I called her out by her real name in these messages showing her I know it’s her and threatened the authorities, and it’s stopped for a bit. But just started back up again. I don’t know how to prove its her. Really, I just want to put a scare into her to leave me alone. It’s very disrupting and upsetting. She gets off on the horrible things she says. I’ve reports the fake profiles to Facebook. But she just keeps creating new ones to message me. I’m set at all private. When I receive the message I have no clue it’s her until I open it. I’m not sure how far I can take this. She is sick and needs stopped. try having your family stalked, or yourself, spend money on 5 laptops, only to be completely shut out that a skilled computer tech cant even access, being watched and videotaped and having it put on display for everyone to watch. Try having someone buy a car in your name, only to be reppossed. Mr.Farty, it is you, that perhaps has not lost enough!!! I am being harassed online. Someone is sending videos of my phone conversations and sending my wife facebook, Imstagram, and emails. Whomever it is is really trying to ruin my life. Can you please assist? I have tracked the IP address but it reflecting a hanger base in Mountainview, anything you can do to help would be greatly appreciated. All your options for assistance are listed in the article you commented on. Please pursue those. Closing comments as the majority of comments were from individuals who clearly had not read the article above. PLEASE PLEASE PLEASE READ THE ARTICLE. It has all of my suggestions for what you should do if you find yourself in situations like this.